For about a week and some days now, residents of Mowe/Ibafo area of Ogun State have been faced with difficulty moving around after their roads and properties have been flooded with water from the govt's dam. 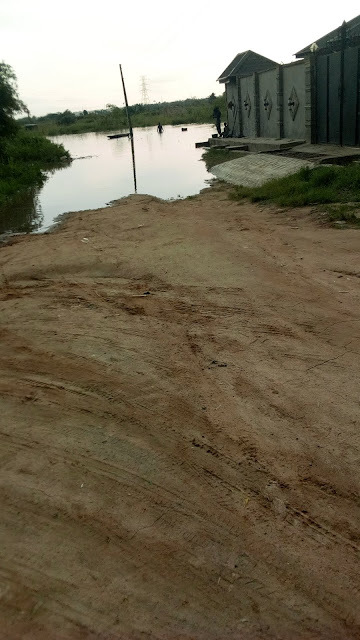 According to a resident of Gaun who spoke to MIGHTYCEEBLOG's correspondent, the government announced to them earlier that the dam will always be opened once in every three years, she also added that the government has not kept its promise because its been barely a year since they last experienced the flooding, and now it is here again. A resident, Mama Dami said she had to pack her things and leave to her sister's place to stay until the flooding stopped, and according to her, it lasted a month and three weeks. The condition is so bad that the residents have to swim through dirty water, and for those with money, boats are being made available. 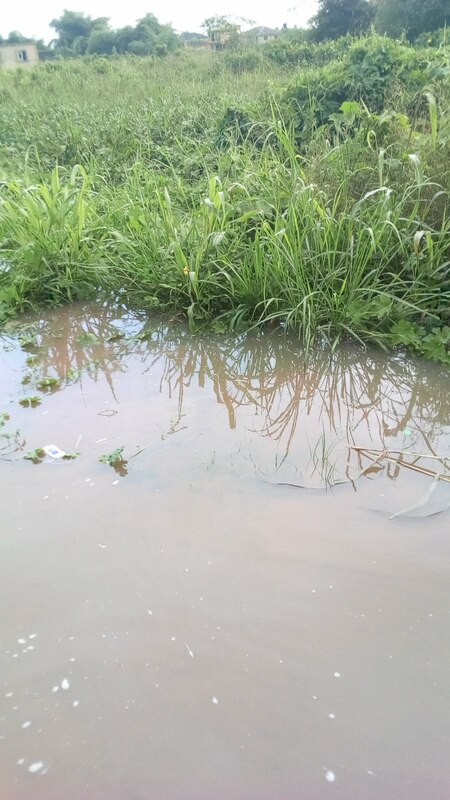 The situation has affected people who go to school or work every day, especially when they have to leave before daybreak, and according to reports, canoe men don't work until about 7:30. 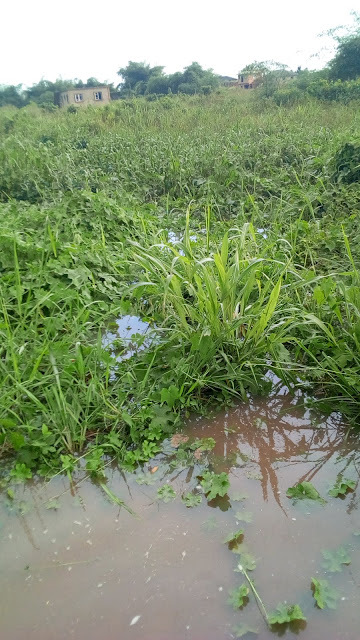 The water is also having adverse effects on the buildings as some houses and properties like valuable sands have been washed away by the flooding. The people are pleading with the government to please find a better solution instead of flooding their houses and exposing them to risks.